Choosing the right business management software that matches your team’s needs is a work quest on its own. While it may seem like a technical decision only, it’s much more than that. In fact, using the most suitable software for handling your teamwork can have a profound effect on your business productivity and team chemistry. The usability of your work tools, the number of features and benefits, and its suitability for your industry are all factors that can impact the smoothness and efficiency of your workflow. That’s why many team leaders and managers today make a careful consideration before they choose the best business management software. Why look for Scoro alternatives? Scoro has grown in popularity with teams of all sizes, as it offers an all-in-one solution for business management. It’s best suited for handling the operations of professional and creative service companies. Scoro allows you to stay on top of your project management, work scheduling and tracking, financial management, CRM, client offers, and reporting, without ever exiting the cloud-based app. While Scoro is feature-rich and useful, the platform may not stick with all types of teams. In some cases, team members might prefer different design and usability, or simply the type of business may require a different set of features. For example, Scoro doesn’t have a version with enterprise-grade security, nor does it offer an on-premise solution for enterprises. In other cases, your business may be looking for a cheaper solution. Scoro’s pricing plans start at $22/user per month (Plus), which is relatively high for a monthly plan for business management tools. If you want to add reporting and other necessary features, you’ll have to go for the Premium plan, which is $33/user per month. For full customizability of the platform, you’ll need the Ultimate plan, which costs $55/user per month. The good news is that there are a ton of Scoro alternatives that you can try out. They can offer different benefits, better suit your business, or range in pricing that better matches your budget. Here are our top 10 suggestions. Hubstaff is a top Scoro alternative and a powerful platform to monitor how businesses spend their working hours, and thus, boost their productivity. The tool enables time tracking, automatic payroll, advanced reporting, and invoicing. With Hubstaff, you can manage your team’s time and finances — straight from the same app. Pros: Simple time tracking apps for web, mobile and desktop, employee activity levels monitoring, GPS & location, time scheduling, as well as robust reporting options and seamless invoicing and payments. Offers a better pricing option in comparison to Scoro. Cons: Hubstaff offers automatic payroll, so you can pay team members based on hours worked and set rates. However, you’ll need a premium plan to benefit from this feature. Pricing: The Hubstaff solo lite option is free for one user with limited features. The basic plans start at under $5/user per month. You can try it free for 14 days, which allows you to try it over a pay period. For Hubstaff Tasks, you can try the beta free of charge. Best for: Growing businesses, remote teams and freelancers. Asana is a well-known name on the task management scene. It’s a software like Scoro whose focus is mostly on collaboration and team communication. Asana blends project management features with document storage and an effective notification system. Its basic work unit is a task card, which you can assign to a team member, set a deadline, attach relevant documents, and discuss with other people in its comments section. Asana also offers rich reporting functionalities. Pros: Powerful tools for handling granular task management, including work boards, task cards with numerous options, easy-to-use timeline, embedded calendar, various integrations with other work software, reporting, admin controls, and high privacy standard. The pricing option tops Scoro’s, as well. Cons: Asana doesn’t have built-in invoicing, budgeting, and time tracking. However, it integrates with Hubstaff, so you can get these features by combining the two. Pricing: Free up to 15 users, then $9.99/user per month. Offers entreprise option, as well. Best for: Small teams, creative and marketing agencies. Wrike offers a real-time work management solution. Its goal is to improve your work visibility and productivity by helping your team achieve better communication, smoother organization, and more flexibility. The workflow that Wrike provides is based on the following steps: create, plan, collaborate, and report. The tool is highly customizable in order to fit the needs of diverse teams. Pros: Provides task distribution, Gantt charts, resource management, time and budget tracking. Unlike Scoro, Wrike offers enterprise-grade security. It has integrations with most well-known work tools out there. Its price is also more competitive. Cons: May be too much for freelancers and small businesses that just want a simple solution. Pricing: Starts at $9.80/user per month for up to 15 users. There are also tailored business, marketers, and enterprise plans. Best for: Midsize and enterprise companies, marketing and creative agencies. Jira has branded itself as the project management platform for agile teams. It’s tailored towards the needs of software companies. Jira provides you with Scrum and Kanban boards in order to boost agile processes with visibility and fast delivery. It also offers agile reporting with out-of-the-box templates and roadmap planning to track and schedule work across teams and projects. Pros: Teams can set customizable workflows according to their needs. Jira integrates with developer tools, which means it can easily blend in your processes. Unlike Scoro, there is a cloud and self-hosted option, so it can match your particular security needs. Jira also has an integration with Hubstaff for handling your time tracking and invoicing needs. Cons: Jira is a robust platform, but it’s also quite complicated. It may be slower for onboarding, and is definitely not suitable for all types of teams. Best for: Software development teams, agile teams. Offers an enterprise version too. Trello is another top choice if you’re looking for an app like Scoro. It presents teams with a powerful way to handle their workflow with the help of Kanban-inspired boards. The work units in Trello are task cards, which team members can move across boards to completion. Each card can be assigned to team members, and you can set deadlines, attach documents, and comment. The visual platform also provides a calendar and additional features that help your project management. Pros: Trello provides great visibility and flexibility for task management. It also enables commenting, collaboration and prioritizing. The pricing plans are much better than what Scoro provides. Trello integrates with Hubstaff’s time tracking and reporting tool. Cons: There are no time tracking, invoicing and reporting functionalities. The board system may not fit the handling of all types of projects. Pricing: The Business plan is $9.99/user per month. There is an Enterprise plan as well, which starts at $20.83/user per month. Best for: Creative, marketing and development teams. Monday, previously called dapulse, is a team collaboration platform that aims to unify all team needs within a single dashboard. It uses visual representation to help teams better manage their workflows. Monday allows team leaders to assess the busyness of team members and assign tasks accordingly. Additionally, you can add your clients as guest users, so they can collaborate with your team on tasks that involve their participation. Pros: With Monday, you can handle tasks, projects, missions, and to-dos. It also allows you to plan your team’s workload over a period of time. Monday has a clean design and is easy to get started with. Cons: Monday doesn’t offer recurring tasks. You cannot get a full overview of task and user dependencies. The platform doesn’t offer time tracking and invoicing. Pricing: The plans for up to 5 users starts at $25 per month, which is still lower than Scoro’s offer. Best for: Small to midsize companies, creative and marketing teams. Workfront is a work management platform that offers a smart, connected and agile way to handle your work processes. It aims to create an “operational system of record” where you can manage all projects and tasks. Workfront offers diverse benefits for the needs of different teams, such as marketing, IT, and agencies. Pros: Workfront provides you with a single dashboard where you can handle numerous projects and work streams, and automate the review and approval processes. Create standardized procedures and template workflows. Unlike Scoro, Workfront is well-suited for enterprise-level companies. Cons: The platform is mostly tailored towards enterprise customers. There is no time tracking and invoicing. Pricing: Workfront has pricing plans for teams, for one department, for businesses with up to 10 departments, and for enterprise. They are available upon inquiry. Best for: Large enterprises, marketing teams, agencies, IT, and professional services. Basecamp unifies your projects, communication flow and client work in one place. It’s one of the oldest work management platforms on the market, as it was created in 2004. Basecamp offers separate dashboards that can be shown to clients, so it’s a great way to integrate your customer service in your workflow. You can easily report performance and achievements across teams and projects. Pros: Basecamp offers a collaboration space, messaging platform for discussions, document storage, to-dos, and more. Team members can forward relevant emails straight to the tool. Cons: The interface may be a bit hard to get used to at first. There is no time tracking option, but you can integrate with Hubstaff to add this functionality. Pricing: $99 per month with no limitation on users and projects. Best for: Project management for client-service companies. WorkBook offers businesses a project and resource management platform. It provides projects and tasks handling, Gantt charts, and even a sales pipeline. WorkBook also has a client portal for customer service. This tool can also help you with resource management, accounting handling, and profitability assessment. 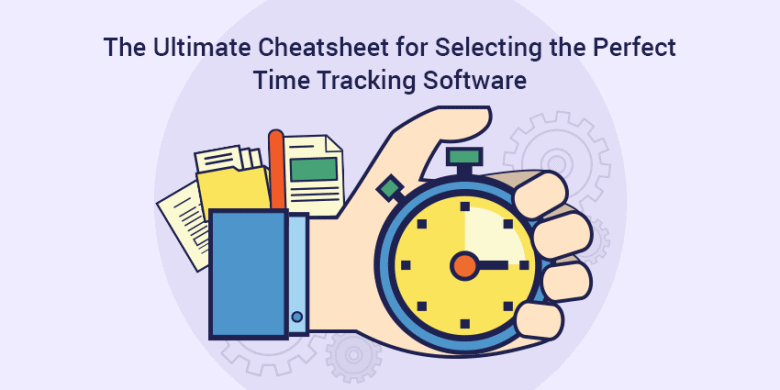 Pros: Besides the task management functionalities, WorkBook also boasts financial tools such as timesheets, budgeting, forecasting, and automatic billing. It’s great for customizing, as teams can select the features they would need. Cons: The design of the platform could use some improvement. Pricing: The plans start at $19/user per month. WorkBook also offers modular pricing for adding separate features, which tops Scoro’s customizability offer. Best for: Teams that work with customers, such as marketing and advertising agencies, software development companies, and more. Podio can easily turn into your team’s online work hub. Its superpower is that it is highly customizable. Podio’s promise is that it brings your content, context, and conversations in one place. The platform helps your team structure its workflows, making them smarter and more efficient. The top workflows and processes that you can manage with Podio include CRM, social intranet, product planning and development, event management, and Scrum management. Pros: Enables fast communication and a high level of admin controls. Enterprise-grade security standards, unmatched by Scoro. Provides task management, data visualization, and connected CRM. Podio integrates with Hubstaff, so you can use its full set of time tracking and invoicing tools. Cons: The customizability of Podio may also be a con, as it can be difficult to get started with the tool. Pricing: The plan for up to five users is free. The basic plan starts at $9/user per month, which is great in comparison with Scoro’s basic plan that’s $22/user per month. Best for: Large teams and enterprises. Whether you’re managing a team of a few people, or a large team at an enterprise, it’s essential to make the right choice when it comes to your work management software. These 10 Scoro alternative software are among the top options you can consider for your company or team’s needs. Have other suggestions for great platforms? Please share them with us in the comments below.